Queen Victoria's London is a teeming metropolis of pageantry, forbidden desire, and danger—especially in the East End, a hotbed of vice, witchcraft, and murder. 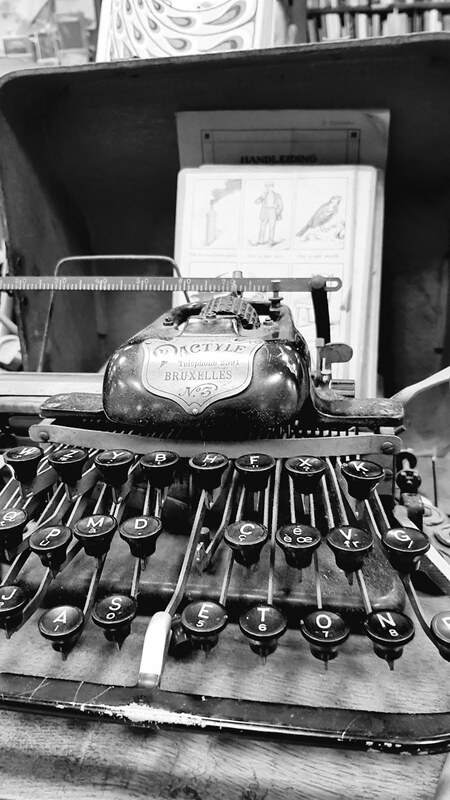 What widow Lady Maggie Graham does there more than greases the rumor mill. When she agrees to wed the Viscount Langdon, there are those who would act upon their suspicions . . .
Wow, I must admit that this book was even better than I expected. I was prepared for a hopefully well written and enjoyable story about a widow and a viscount falling in love despite everything indicating that such a union might not be the wisest choice. What I got was far more. It was a thrilling, captivating and suspenseful story about friendship and love, about murder and choices. It was a story of love lost and love found, of despair and content - and in the end it was also a story about happiness to come. This story is set in the time of Jack the Ripper, with all that this entails. Once again this was a book that I just couldn't put down once I had started it. I was shocked, when Maggie got married, I felt with her, when she felt humiliated by everything that happened after the wedding, hoping with her for a way out and, well. Despite everything that happened, I always hoped that she'd find real love again because she is a wonderful person and has earned love and happiness. She cares for everyone around her and you just can't help feeling that somebody should care for her as well, really care for her. Oh, and I was furious with her brother for wasting his time and his money the way he did but I was even more furious with her uncle, this conniving....argh. I was a bit irritated at the end because I felt that it was rather sudden and something was missing but perhaps it was just my reluctance to let them go. Apart from that, I was really surprised by the complex and intriguing story that was much more than just a simple love story. 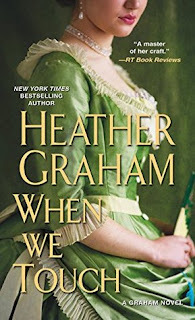 This was the first but definitely not the last book by Heather Graham that I have read. Everything about charming, free-spirited William defies the cloistered world Lady Alice comes from. Duty brings her to their bed—and a long-held hope for a child. Yet after three indifferent husbands, the desire William shows her awakens her own. Little did Alice expect the powerful feelings he would inspire, emotions that make her ready to abandon her rigid beliefs, and the only family she's ever known—when William's life is on the line…. I really really loved this book! An interesting and intriguing story with many twists and turns, amazing, complex characters and well written, it is definitely a book that I'll read over and over again - and I already did read it again, more than once. As much as I loved William and Alice, I really hated Sister Julianna who always made my flesh crawl. 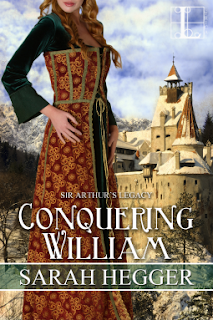 With William I was speechless when I learned how big an influence Sister had in the keep and how harmful it was. I was -like William- even more stunned when I realized just how much influence she had on Alice, I hated her for the venomous things she uttered about William's family whom I really really liked - all of them. I loved to see Alice blossom and turn into a beautiful woman, caring and more and more confident, I loved to see how William and Alice started to trust each other and to fall in love - well, who could resist a man like that? Caring, loving, handsome but also strong, intelligent and loyal ...simply perfect. William's family was also a real delight with the way they protected each other and cared for each other. When things got pretty bad I feared with them, I was upset, I was furious. They are very special and very amazing characters. I also enjoyed the encounters with a certain scot, Aonghas the Red who always lifted the mood with his comments. Of course I was also angry as usual when women are bartered away like cattle with no thought to their feelings and her wellbeing but at least William is a nice guy and not just in contrast to those ...husbands... Alice had been married to before him. I think I already mentioned it but - I really loved this book. It is well written, captivating and emotional and has some really amazing characters, I can absolutely recommend this book. Highland Temptation was a story that I really really enjoyed. The Highland Knights is a group of men who have fought together for many years and who stayed together as a group even after their time in active service, working together and helping each other fighting each other's demons. When one night Lady Emilie turns up on their doorstep, bloody and in desperate need of help and protection, the Highland Knights are more than willing to provide the protection she needs. Especially Sir Colin is determined to keep her safe whatever the cost. 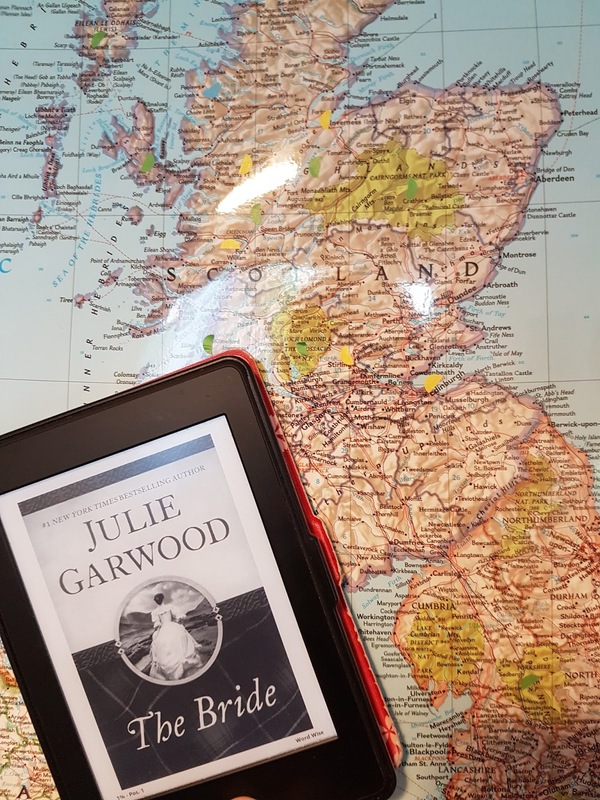 It is Colin who travels with her to a safe house in Scotland when it becomes clear that her father will stop at nothing to get her back - and his intentions have nothing to do with fatherly love but a lot with cruelty and the fear that she might reveal his secrets. I loved this story and I loved Lady Emilia with her silent strength and Sir Colin and his deep sense of honor and his obvious love for Lady Emilia. 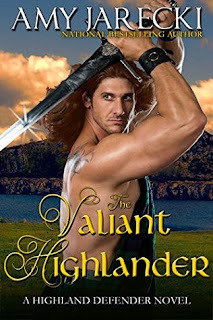 The other Highland Knights are also wonderful characters with their willingness to support each other and the way tehy protect those raound them. All in all it is a wonderful story that I can absolutely recommend. Was wäre ein Urlaub ohne ordentliches Essen? Dieses Buch enthält 30 leicht nachkochbare Rezepte. 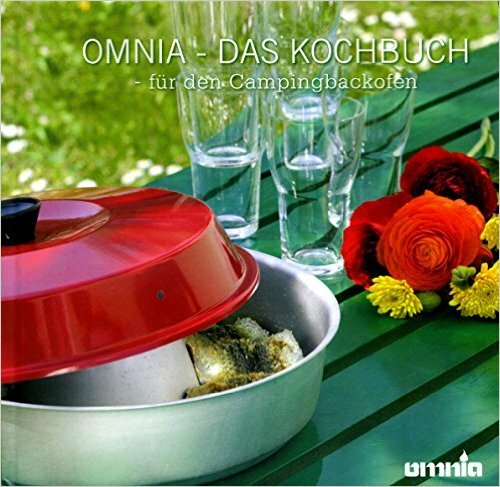 Mit dem Campingbackofen OMNIA können Camper, Wohnwagen- und Bootsbesitzer, sowie alle anderen, die unterwegs keinen Backofen haben, frisches Brot, Aufläufe, Quiches, Kuchen und andere köstliche Gerichte genießen. Eigentlich dachte ich ja, dass man ohne ein Kochbuch für den Ofen auskommt, zumal hier gar nicht so viele Rezepte drin sind. Nachdem wir eine Saison mit dem Omnia Campingofen unterwegs waren, dachte ich, dass es doch praktisch wäre, noch ein paar Anregungen zu haben, was man noch alles damit machen kann. Die letzten Tage vor diesem Urlaub, gab es bei uns dann jetzt ganz ganz viel Gebackenes, damit ich schön für den Urlaub üben konnte und ich war rundum begeistert. Seitdem haben sich Omnia und Kochbuch bei uns auch immer wieder bewährt. Der Omnia selbst ist im Prinzip täglich im Einsatz und auch das Kochbuch selbst hat uns schon einige gute Ideen und Rezepte geliefert. Mit den Tipps aus dem Buch und den Rezepten, die praktischerweise auch in Liter-Maßen gehalten sind, so dass man nicht zwingend eine Waage dabei haben muss, eröffnet sich doch noch einiges mehr an Möglichkeiten. 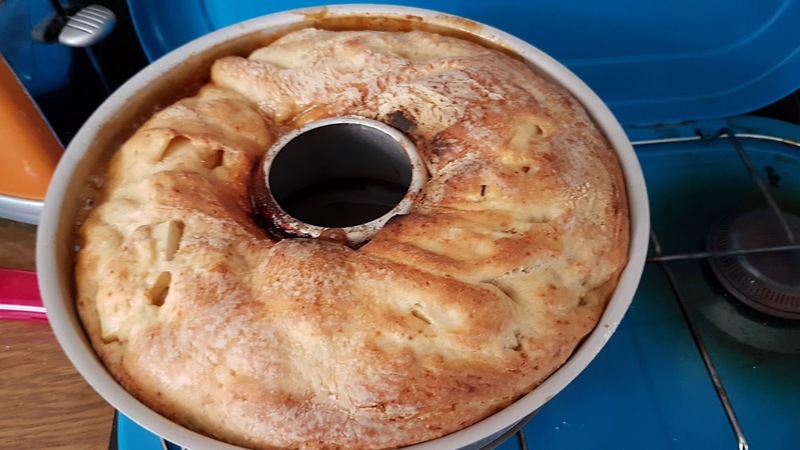 Einige Rezepte arbeiten auch mit Backmischungen, aber es gibt in der Regel jeweils auch ein "echtes" Rezept dazu. Insgesamt sind die Rezepte recht fischlastig, wobei auch in anderen Rezepten Hack zur Anwendung kommt, aber es gibt auch einige Rezepte für Brote, Kuchen, Quiches und Pizza-Calzone. Mit Mut zum Variieren und ein wenig Erfahrung, sind viele der Rezepte auch eine gute Basis für eigene Kreationen, hier sind dann die Mengenangaben und die Zeiten interessant. Ich habe festgestellt, dass ich besonders gute Ergebnisse, gerade bei Broten und dergleichen, erziele, wenn ich in die Unterbauschale etwas Wasser hineingebe und dann den Aufsatz mit der Backschale draufstelle. Gerade für ungeübte Campingköche gibt dieses Buch tolle Anregungen für eine abwechslungsreiche und vor allem auch leckere Unterwegs-Küche! Wow, this book was quite a roller coaster of emotions! I really enjoyed it and felt for Evangeline and Hadley when they try to find their way back to each other after having been separated for five years. Five years that were spent in hell as far as Evangeline is concerned while Hadley still tries to come to terms with her betrayal or what he thinks to be a betrayal. Are five years too long to ever make things right again between them? Is there a chance for happiness or is that chance gone forever? I really enjoyed reading this book. 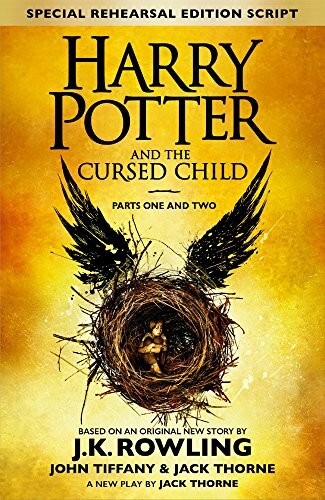 It is fast-paced, emotional and imaginative and it has an interesting story and well developed characters as well. The story is part of the "Disgraced Lords"-Series but it can easily be read as a stand-alone - well, it could be read as a stand-alone but as you will probably want to read the other books as well after you have finished this book (at least I suddenly "found" all the other books of the series on my wish list after I had finished "A Taste of Seduction"), you might as well start at the beginning just to enjoy how the whole story unfolds. 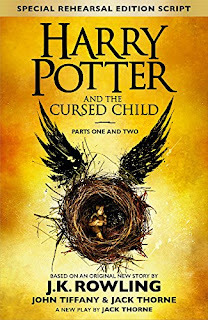 Actually I was a bit frustrated at the end of the book because there was a bit of a cliffhanger there, not a big one but if you really have to know how the story goes on it is rather hard to have to wait at all. Fortunately the next book in the series will be out in October so we won't have to wait too long. I really liked this well written book and I'm looking forward to reading the other books of the series - and other books by the author! 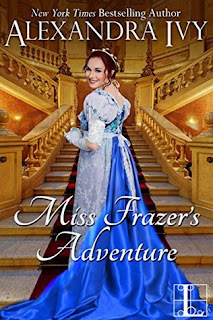 Journeying from England to Scotland, Lady Brenna has resigned herself to an arranged match with a highlander. But when a band of fierce, painted warriors captures her en route, she fearlessly meets their demand to instead marry their leader—her betrothed’s sworn enemy—the quick-tempered Connor MacAlister. Brenna harbors no illusions that her husband is in love with her, but their shared past gives her hope. Maybe the laird who once visited her father’s castle and charmed her with a dazzling, unexpected smile remains underneath Connor’s stern exterior. Ohh, I loved this book and when I had finished it a couple of days ago, I went and downloaded two more books by Julie Garwood. Since then I have reread this book more than once. It's not just the story, which is nice and well plotted but it is the humour that made me love this book so much. Every now and then (and sometimes a bit more often) I laughed out loud or smiled - sometimes goofily, sometimes just amused. I loved the way the characters interacted and how both of them tried to make the other see reason. When Lady Brenna formulates her vows I laughed so hard and I loved how Connor reacts to her and her quirks. Brenna is one of those characters that you just have to love because they are charming and lovable, strong and independent, loyal and sweet whereas Connor is a bit more of a nut to crack. 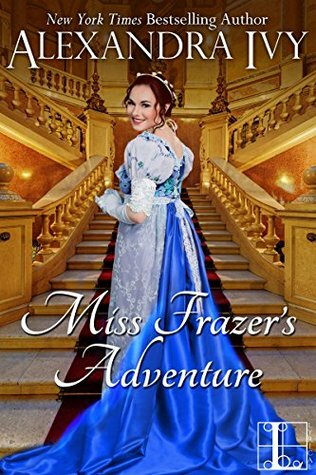 A very fierce and very hard nut to crack - but very soon Brenna's love for life, her courage, her stubbornness and her love for her new husband and all those around her don't leave him any other choice but to fall in love with her as well. Burdened with a dark legacy due to the murder of his father, Connor's life is determined by fight and revenge. But, well, when a man like that falls in love...? When a man like that falls in love there's no going back, his love is as solid as it could ever be. His enemies are plotting but his friends stay true and I loved to see how much those hard men care for each other and how much they very quickly come to care for Brenna as well, not only but also because she means so much to Connor (even though he himself still fights those feelings for a long time). 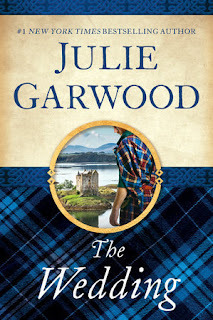 Those who have read "The Bride", will meet Jamie and Alex again in this second book of the series and I think they will enjoy to see how much they are still in love. A wonderful and well written book with an intriguing story and very likeable characters, I can definitely recommend it! Und wieder ging die Reise weiter! I really liked this book. It has an interesting and somewhat unusual plot and what I loved best - it has strong characters. Both, the hero and the heroine are amazing and even though it is not that unusual as an idea it is nice to see how the very proper, very arrogant Sir Donald MacDonald, Baronet of Sleat falls for the not very proper but very courageous Mary of Castleton who can shoot better than many men and who doesn't care for proper etiquette. Of course it all starts with an abduction - or rather with a competition. Or a madman. Or - anyway, when Mary is abducted, it is Sir Donald who goes after her. Very quickly things get very rough and the two of them run for their very lives. Mutual respect turns to a bit more than respect but will Don be able to overcome his ideals of a perfect society wife? This fast-paced story, set shortly after the massaker of Glencoe with all the restrictions for the Scots that followed afterwards, is gripping and well told. Some parts of it are foreseeable but, hey, that's why I read romance, I want the hard guy fall for the wallflower or the woman who is not meek and not "perfect", so....no problem there. 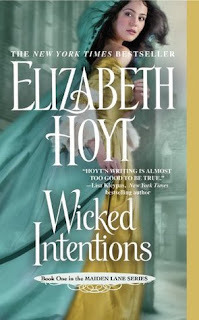 The characters are interesting and well developed and I liked how the historical events were woven into the plot. Over all I liked this book and enjoyed reading it. The hero and the heroine are very likable characters and I loved to see how they grow to respect and love each other - despite their rather, well, let's say...spectacular...start with an abandoned bride and a missing groom and...well, that kind of thing. Kate is a very sweet person and you feel with her when she finally stretches her wings and starts to live. I liked Lucius as well because he respected her wishes and just accepted the situation as a kind of challenge instead of shipping her back home to her father even though it is not always easy for him to go along with her ideas and wishes. My problem was that reality reared its ugly head far too often and asked me how this or that was possible and I couldn't really fall for the book as I usually do because of that evne though I still enjoyed it. This may sound stupid or fussy and it doesn't happen to me very often but in this case it did and it spoiled the book a bit for me when I always thought why this or that was possible or how Kate might have done something. There were just a bit too many inconsistencies that kept popping up that I couldn't ignore them despite the nice story. Apart from that though, the book is a nice and easy read with many twists and turns, well written and enjoyable. ...oder worauf wartet der Buchliebhaber zur Zeit? während ich mich in der Weltgeschichte herumtreibe? Und? Wer konnte noch nicht widerstehen? This book and I were not meant for each other. Unfortunately there were some obstacles that we couldn't overcome, so to say. I have no problem with sexual content in "my" books but somehow it disturbed me in this story. 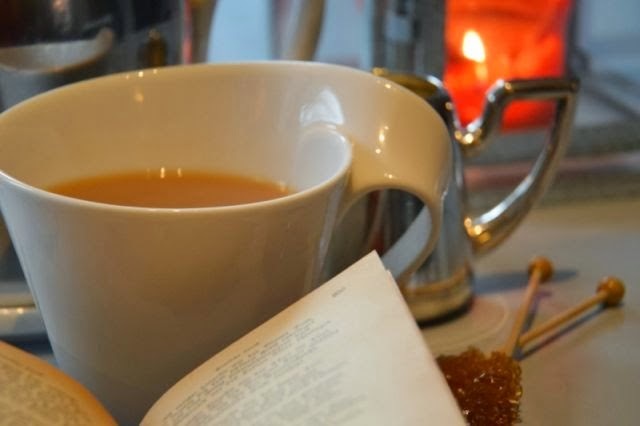 It always hinted at debauchery, no problem there as this is very often the case in such books but it also hinted at unusual requests - and I wasn't entirely comfortable with that. Overall the atmosphere is rather dark and depressing and I couldn't really enjoy the book. 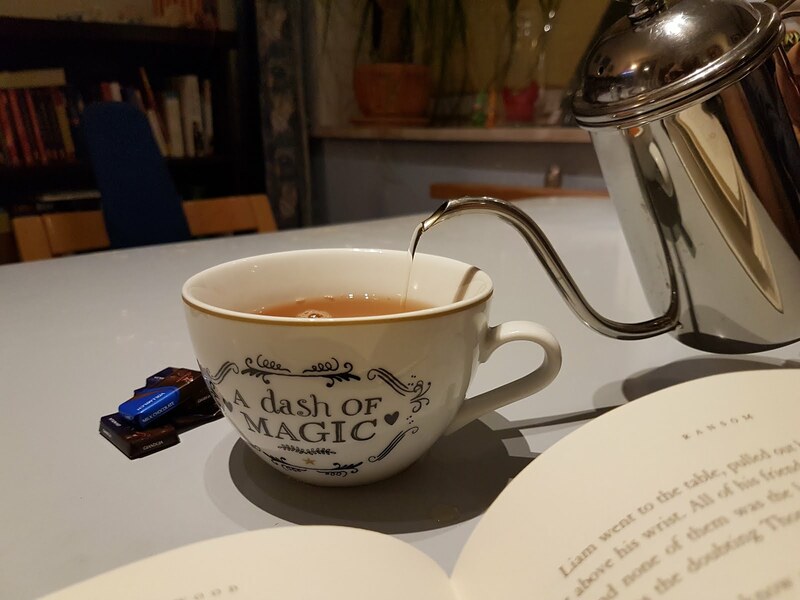 Maybe this is stupid but when I am reading a romance, I have to feel that things will get well and I must feel that there's romance in the air and that wasn't the case with this book at all. This is not the first book by Elizabeth Hoyt and I really liked the other books by her that I've read. The writing is as well as I've come to expect and the characters are really well developed and interesting and sympathetic, even the plot is really interesting and well done, it's just the atmosphere and some details that turned out to be a problem for me. I will read other books by the author but probably non of this series.